Very good, no issues at all. Very nice at check and added the nice touch of greeting me in french! Where to find Iroquois Falls hotels near an airport? Where can I find hotels in Iroquois Falls that are near tourist attractions? As there is only 1 Expedia-listed hotel within a 0.1-kilometre (0.06-mile) radius of downtown Iroquois Falls, it's wise booking a room early. 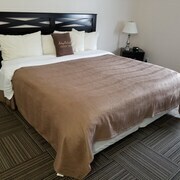 Although Iroquois Falls can't boast to having a huge array of accommodations right near the heart of its town center, Auberge MacDonald Guest Inn is convenient enough to satisfy visitors. The Auberge MacDonald Guest Inn is 0.3 kilometres (0.2 miles) distance from the center of Iroquois Falls. Why don't you take the time to spread your wings and explore the many other attractions dotted around Northern Ontario while you are in the region? Northern Ontario offers forests, rivers and lakes. Commonly visited Northern Ontario tourist sites include old towns and art museums. Adventurous visitors may also try snowboarding, skiing and cross-country skiing here. Timmins is 55 kilometres (33 miles) to the southwest of Iroquois Falls and is home to the Hollinger Golf Club and Gillies Lake Park. 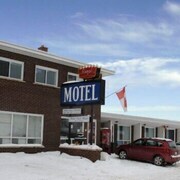 Timmins hotels include the Comfort Inn Timmins and Super 8 Timmins ON. 80 kilometres (51 miles) to the southeast of Iroquois Falls, you'll also find Kirkland Lake, home to the Comfort Inn Kirkland Lake and Super 8 Kirkland Lake. The Museum of Northern History and Wright-Hargreaves Park are a couple of the popular places to check out when visiting Kirkland Lake. If enjoying sport is your passion, be sure to take a trip to Mountjoy Arena, which is 60 kilometres (37 miles) to the southwest of Iroquois Falls. If you are interested in booking a room close by, make a reservation in the Holiday Inn Express Hotel & Suites Timmins or Microtel Inn & Suites by Wyndham Timmins. 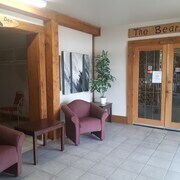 Thank you for taking the time to check out our Iroquois Falls hotel listings. Do yourself a favour and spend a little time exploring our Iroquois Falls travel guide for the inside scoop on this place's many things to do and see. Are there hotels in other cities near Iroquois Falls? 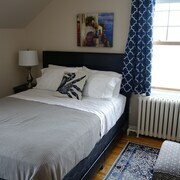 What other types of accommodations are available in Iroquois Falls? Explore Iroquois Falls with Expedia.ca’s Travel Guides to find the best flights, cars, holiday packages and more!